Over the course of my lifetime, here in the United States, the treatment of veterans who served in the military is seen as a big deal, hell it’s why President Trump’s pick of Dr. David Shulkin to run the Department of Veteran Affairs is seen as it is a big deal. Still in the world of Star Trek, the topic was only really brought up once with the Next Generation Episode ‘The Hunted’, which for me is one of that shows stronger episodes following the two rough seasons of the show. For those who may not know, The Enterpise-D is visiting a planet who wants to join the Federation, and its discovered that during the world’s last great war, it took volunteers for military service and genetically and psychologically altered them to ensure they could survive combat, creating perfect soldiers. In the aftermath, the soldiers were not welcomed back because with their programming they became a danger to others if they perceived a threat and reacted due to their conditioning, so it was decided they would all be shipped to a prison colony to live out the rest of their days instead of trying to help re-program them to help better integrate them back into society, in short turning their backs on them. Keep in mind, these soldiers volunteered, they answered the call to service to defend their way of life, did what they were told and were basically exiled and shunned for it when they were no longer needed. In fact, a character justifies the ‘solution’ as being ‘we may need to use them again someday’, implying they would force these men back into combat if it served ‘the greater good’. All the soldiers want is to come home, to be welcomed back and helped… is it really all that much to ask? Personally, I think the topic was very well handled, the ideas presented is really fascinating when you strip it down to what is being talked about, and you actually end up identifying with the soldiers, and in particular the character of Roga Danar, played by guest star Jeff McCarthy. Danar volunteered for service, got programmed for war and was shipped off to the penal colony. He escapes and uses his training and conditioning to out-wit the Enterprise crew… he admits he is dangerous but at the same time, he is a man who just wants to go home and would do anything he can to do so. 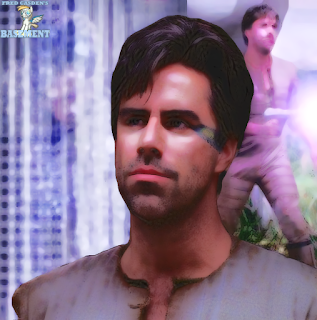 McCarthy’s performance is very well done, as his scenes opposite Marina Sirtis’s Troi and Brent Spiner’s Data are perfect back and forth conversation, in fact I just love how he as Danar just trolls Troi in their initial conversation about how ‘a girl with dark hair lead him to a life of crime’, and the discussion with Data about being ‘re-programmed’ was also wonderful, particularly when Danar asks Data if he could imagine what it feels like to being able to remember the faces of 84 he had to kill in the line of duty. This episode is also known for the most ‘internal views’ of the Enterprise-D, seeing more of the ship than in any other episode for when Danar escapes being put on a transport ship back to the penal colony, from the second he forces himself out of a transporter beam mid-transport, we follow him through various corridors and access points as he looks for a way get off the Enterprise. It’s a game of cat and mouse as he avoids Enterprise security, plans out distractions and works towards his end-goal. It does make the Enterprise security forces look like chumps, but when Danar is on screen you can see the wheels of his mind turning as he adapts to each hurdle he has to overcome. If you’ve never seen this episode of Star Trek The Next Generation, I highly recommend you do so, even if the topic of handling of Veteran Affairs is of non-interest to you, the character of Danar will hold your interest. 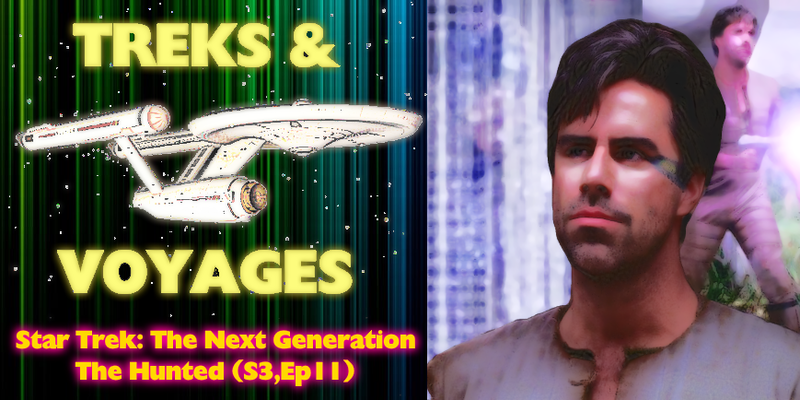 Treks & Voyages will return in two weeks, if you have a suggestion for an episode of Star Trek to be reviewed, leave it in the comments section below.